It's a blizzard outside! But this isn't a whiteout; it's a 'pinkout!' 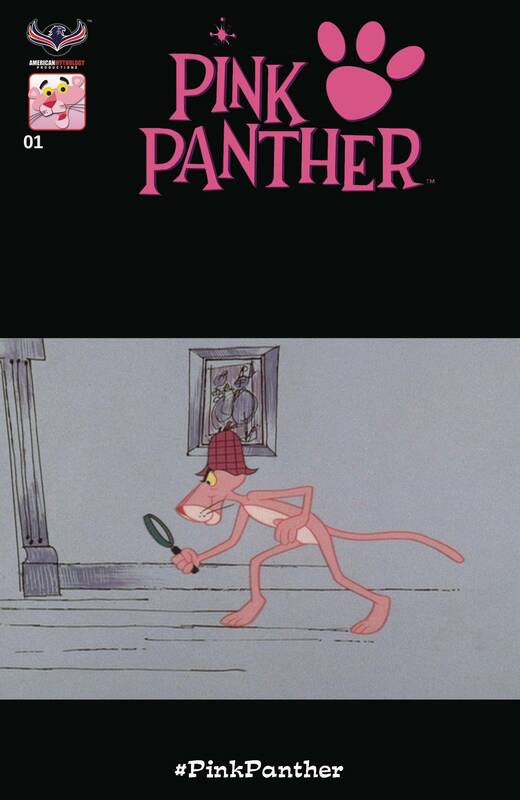 We're home from school today and scaring up some winter fun with everyone's favorite Pink Panther. How much trouble can your favorite cool cat get into on a snowy day? Whether it's dumping The Little Man in a frozen lake or confounding The Inspector, the Pink Panther has new hijinks that will make you laugh out loud! Get your winter coat and mittens; it's time for a Pink Panther Snow Day! Main Wraparound cover by Adrian Ropp, Pink HiJinks cover by Jacob Greenawalt, Classic Pink cover by Bill Galvan, and a special Retro Animation Premium Cover.